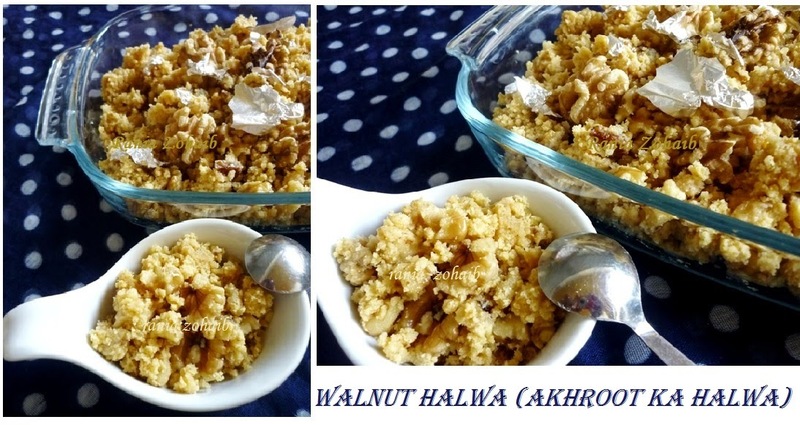 This here is a Walnut Halwa, I make it in two ways, I like this way much more as I enjoy the crumbled milk taste, the other variation is to let it settle and cut out diamond pieces like Barfi. * add the dry milk powder and stir on a low flame as you need to fry it in a nice golden color not dark brown! * you have to keep moving it around till the ghee/oil starts showing up form sides and leaves the pan easily.